Eric Allen, MA, CPI, CI, ESTIFM, obtained a Bachelor’s of Science in both Psychology and Counseling from Messiah College, in Grantham Pennsylvania. 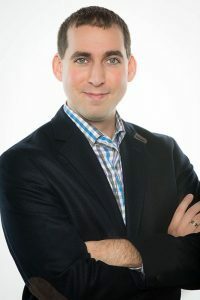 He went on to receive a Master’s of Psychology at Marywood University, in Scranton Pennsylvania and has obtained certifications in crisis intervention and counseling, certified investigation for incidents involving clients with disabilities, and an eco-systemic trauma informed family model of counseling. Eric has over 17 years of experience running support groups, providing outpatient therapy, in-home behavioral consultation services and therapy, inpatient crisis intervention and assessment, student risk assessments, counselor supervision, training, treatment plan development, and implementation, business and life coaching, as well as providing holistic counseling services for patients within an alternative treatment facility. 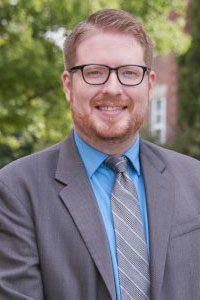 Kris R. Liebegott, BA, MS, currently serves as the Director of Student Life at The Sage Colleges. Prior to serving in his current position, Kris held positions in Student Activities, Leadership Development, Judicial Affairs, Greek Life, and Residence Life. He has eleven year’s experience in higher education at two-year and four-year institutions; which includes colleges and universities in the public, private, and for-profit sector. Kris received his Masters of Science in Higher Education Administration from Marywood University and his Bachelors of Art in Marketing Communications from Elizabethtown College.